Snowmen are the best part of winter. 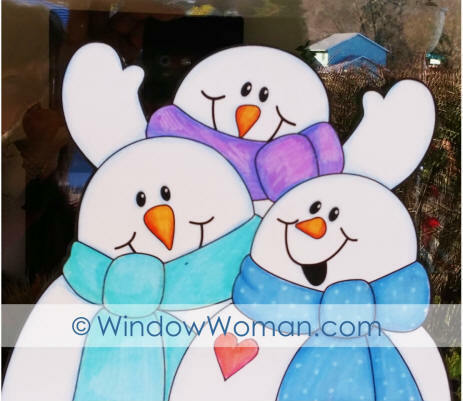 Here are 3 little snowmen to cheer you and your guests. They will happily greet your friends and family even on snowy or dark winter days. Prints on 9 sheets of regular paper and you just print, tape it together and go.